If the NDP split over the ousting of Tom Mulcair as leader wasn't clear enough at last weekend's convention, the fallout from a decision to consider the Leap Manifesto has been cast by some as widening the gap. If the NDP split over the ousting of Tom Mulcair as party leader wasn't clear enough at last weekend's convention, the fallout from a decision to consider the Leap Manifesto has been cast by some as widening the gap. 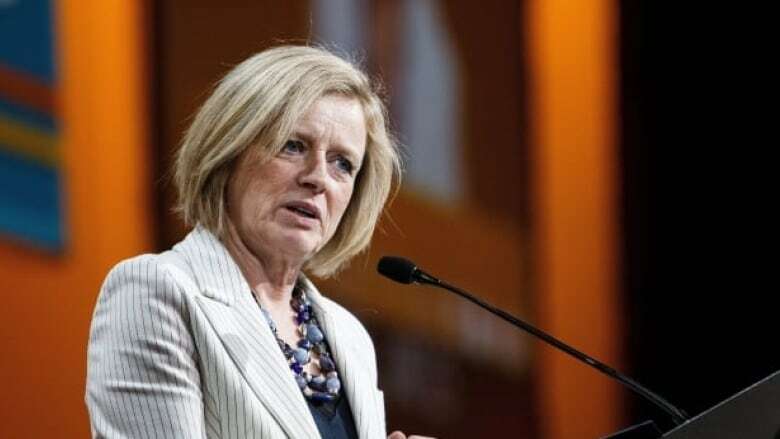 The document, a slim five pages with an additional two-page costing document, has become a central point of debate among NDP members and pundits, especially when it comes to its energy recommendations. "The takeaway from the document has been: 'No more pipelines,'" says University of Toronto politics professor Nelson Wiseman. "That's how it came across." That part of the proposal has led some to call it radical, while others have endorsed it as progressive. But it isn't the only policy pitch in the manifesto. Fronted by author Naomi Klein and her husband, filmmaker Avi Lewis, the Leap Manifesto is a fairly short, if controversial, list of political proposals on topics ranging from the environment to infrastructure. When Klein and Lewis introduced it during last year's federal election campaign, it gained the backing of some prominent Canadians, including Leonard Cohen, David Suzuki and Rachel McAdams. But Wiseman says, "Let's remember, the NDP didn't adopt it." Instead, the NDP has decided to debate its proposals in riding associations across the country over the next two years. Wiseman says this could indicate a hesitance on the part of the NDP. "How do you say no without saying no?" he asks. "You say we'll discuss it." But Dalhousie University politics professor Katherine Fierlbeck says putting the document through debate in the riding associations in the period between elections could help it gain traction. "Riding associations 'out of season' are generally peopled by those who are already very committed politically," she says, "so if these are the most 'radical' denizens of the NDP it may actually help the Leap." In any case, she says, the document will likely be revisited in the run-up to the next election. Here's a look at five of the document's main themes. The document calls for a total move to renewable energy by 2050. That's 50 years prior to the end-of-the-century deadline set by leaders of the G7 countries, including Canada, to move to an emissions-free economy. That proposal has led some to characterize the manifesto as a demand to "leave the oil in the ground." But Lewis recently told CBC Radio's The House, "That's not in the manifesto." The document, he says, proposes "no new fossil fuel infrastructure." This would mean a halt to new pipelines, fracking projects and increased tanker traffic that would add to fossil fuel extraction over the long-term. It also calls for the adoption of a carbon tax, as well as an end to fossil fuel subsidies. Along with weaning Canada off fossil fuels over the next three decades, the manifesto says there should be "training and resources for workers in carbon-intensive jobs" and an expansion of low-carbon jobs, such as teaching, the arts and care-giving. It also calls for discussions about the potential for "a universal basic annual income." The document advocates ending all trade deals that could clash with attempts to shift the country's energy resources toward renewables. It also calls for "a more localized and ecologically based agricultural system." Energy-efficient housing makes the list of priorities, as does high-speed rail. The manifesto also indicates a need to invest in infrastructure "so that it can withstand increasingly frequent extreme weather events." The manifesto advocates that Canada promote the land rights, treaty rights and cultural traditions of indigenous people as per the United Nations Declaration on the Rights of Indigenous Peoples. Canada voted against the non-binding UN declaration in 2007, along with the United States, Australia and New Zealand, though the Liberal government has promised to implement it.